Streak's Contacts feature offers a way to save contact information about the people you work with at the Team level. Contacts are added to boxes and – while available outside of them in other boxes – require a box as their starting point. Once you add a Contact or Organization to one, you can edit contact details, see other boxes related to them, and take action. 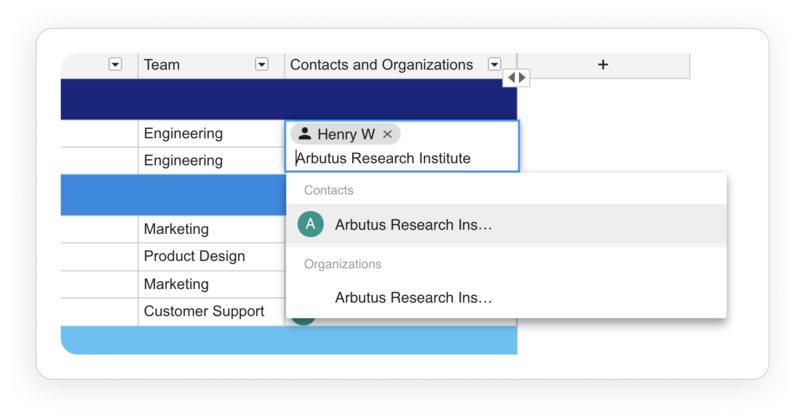 The easiest way to create a new Contact or Organization is from the pipeline view, through the Contacts and Organizations column. 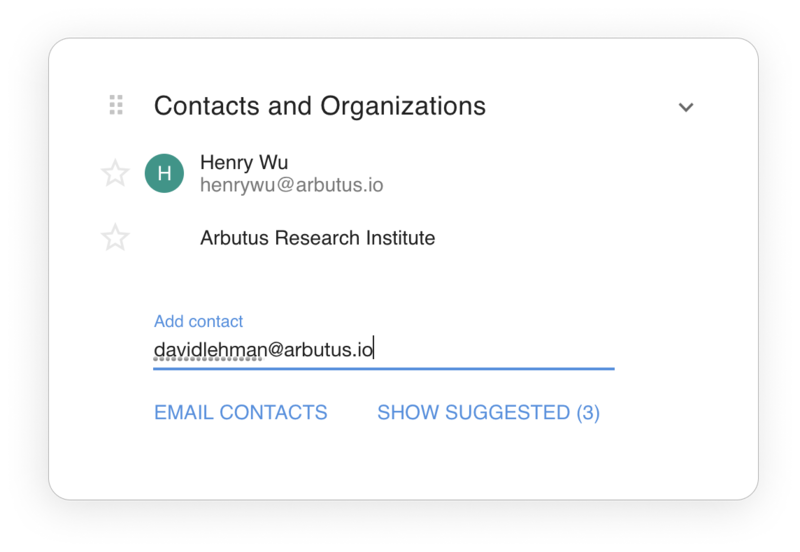 Streak will automatically populate results based on your Google Contacts, existing contacts, and offer up Suggested Contacts based on any email threads you've already added to the box. Double click the field for "Contacts and Organization" in the row you want to modify. Type the name of your contact or organization. If no match is found, you'll be presented with two options: creating a contact or an organization. If you want to mass create contacts, too, doing so from the Pipeline view is the fastest method – you can copy and paste email addresses directly into the column and Streak will do the rest of the work for you. If none of the suggested contacts are relevant to the box, you can add a new Contact from the box view. Open any box in Streak. Under the "Contacts and Organizations" section, select Add and begin typing the email address (or name) of the contact or organization you'd like to add. Select the option (Contact or Organization) that best corresponds to your data. If the Contact or Organization already exists, Streak will display that as an option when you begin typing. This helps you prevent data duplication and can help speed up your process.